A third generation musician, Derek Bailey began his study of music and the guitar at the age of ten. In 1952 he began his career as a professional musician -- primarily in the context of commercial music, performing sessions for recorded media, television, radio and as an orchestra member. His interest in improvisation steadliy grew throughout this period, and at the start of the 60s he began working in the jazz trio Joseph Holbrooke along with Gavin Bryars and Tony Oxley; in its three-year span of existence, the trio moved from conventional jazz forms into the realm of completely free playing. From this point on, Bailey would never deviate from his now wholly-improvisational path. In 1966 Bailey moved to London and kept busy throughout the remainder of the decade with several different improvisational collectives, including The Spontaneous Music Ensemble and Tony Oxley's sextet. 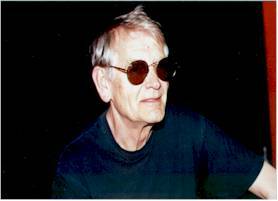 In 1970 he formed the trio Iskra, in addition to establishing Incus -- the U.K.'s first musician-run independent label -- with fellow players Oxley and Evan Parker. In 1976, he took the next step with his efforts to create a viable framework for free playing by organizing Company, a free-improv ensemble of variable membership, as well as the associated Company Week festival, which continued to be staged on an annual basis up until 1994. A book summing his his extensive knowledge of his chosen field, Improvisation: Its Nature and Practice was published in 1980 and later adapted into a televison series in 1991. In additon to his ensemble work, Bailey has frequently recorded and performed in solo and duo settings. By the late 1990s he had accumulated over 70 albums in his catalogue and continues produce new work on a regular basis.